Brothers, today is Mother’s Day. If you have not yet purchased a gift for your mother or your wife, you are already in trouble. However, let me give you a couple of hints on what not to buy. Do not buy her anything that plugs in. If something needs to be plugged in, she will only see it as a tool. Also, do not get her any exercise videos or equipment, as this will lead to her asking you—why you think she needs to exercise in the first place. And I guarantee that you will never have the right answer. Sisters, becoming a mother changes many things for you, right? When a woman becomes pregnant for the first time, she will start wearing maternity clothes the day the doctor says she is pregnant. On her second pregnancy, she will wear her normal clothes for as long as she can. And by her third or fourth pregnancy, she doesn’t care what she wears, as long as it fits, because she barely has the time and energy to get dressed! Mothers teach us most of what we know in our early years. Unfortunately, more than ever before, babysitters and nurseries are raising our children. After that, schools, television, and peer groups are teaching our children, and tragically, it is most often ungodly rather than godly teaching. God did not intend for our children to grow without spiritual discipline in their lives, yet too many of our children today have none. What good have we done by teaching our kids how to be successful in life if we have not taught them to be responsible and to love Jesus Christ? Jesus said it best in Matthew 16:26 For what will it profit a man if he gains the whole world and forfeits his soul? Or what shall a man give in return for his soul? We need godly mothers and fathers who are determined and say, “I will teach my children to walk in the way of the Lord.” We cannot let the most important thing in our children’s lives be left up to chance, or up to somebody else’s false teachings. We must take action and be accountable as parents for our children’s education and spiritual welfare. One such parent was Mrs. Zebedee, whose first name may have been Salome. If so, she traveled with Jesus and was at the cross when He was crucified. We know for sure Mrs. Zebedee was the mother of James and John, who were close disciples of Jesus. And like any mother, she wanted the very best for her sons. However, she was over-zealous in her role. 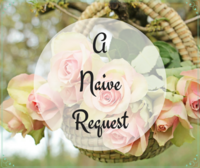 As a result, she made a naïve request to Jesus. Jesus had just shared an illustration about the Kingdom of Heaven where a landowner hired some helpers, and no matter how long they worked for him, they all got paid the same wages. Then He said they were going to Jerusalem, where He would be condemned to death. This may have caused Mrs. Zebedee to worry about what kind of reward her sons were going to get, so she asked Jesus about it. Jesus did not grant her request, but He did not deny it either. He simply reminded all of them of the cost of being seated on the right or left, and that only the Father could grant such things. It seems incredible that James, John, and their mother could ask Jesus such a crass, self-serving favor. It might also may seem strange to you to consider this text for a Mother’s Day message, but actually there are some good lessons for mothers in this text. Though Mrs. Zebedee was over-zealous and naïve, this woman was a good mom! Mrs. Zebedee made a common error of many parents, educators, and coaches when they encourage kids to believe they have the power to be better than others and the right to dominate others. This is misleading children. The source of power and authority is not in ourselves but in God. We must believe in Him and what He can do through us to glorify Himself. God tears down the proud, but lifts up the humble. The more we trust in Him and the less we trust in ourselves, the more He is glorified and the more useful we become to Him. No doubt with great tenderness and compassion, the Lord assured the brothers, “you will drink my cup.” He knew they would suffer greatly for the Kingdom of Heaven, but it would not be of their own choosing or power, but for the purpose of God and in the power of the Holy Spirit. For instance, James was the first apostle to be martyred. And John ended his long life as a condemned exile on the island of Patmos. So, let’s look at what Mrs. Zebedee did for her sons, and from her example learn what we, as mothers or fathers, should be doing for our children. First, she desired her sons to be part of the Kingdom of Heaven. Who gets in this Kingdom? Jesus, the King of Kings, has a kingdom that is not of this world. Mrs. Zebedee believed that and encouraged her two boys to follow Jesus and to do His will. Furthermore, she didn’t just tell them to do this, she demonstrated it by following Jesus and doing His will, herself. Moms, of all the things you can do for your children, the greatest thing you could ever do would be to encourage them to follow Jesus Christ. You can encourage them to do this by believing, praying, reading your Bible, talking about Jesus, and doing His will by acting like Christ. True greatness in yourself and in your children will only flow from this faithfulness. Mothers, when you pray, do you try to make bargains with God? Do you promise to do things for God if He blesses your kids in return? Those kind of prayers are improper. We can’t make deals with God. We can only trust God to do His part in blessing our children if we do our part by obeying God in our behavior. Our children learn more from our actions than from our words. They will accept God's standards if they see them lived in their parent’s lives. Parents naturally want to see their children promoted and honored, but this desire is dangerous if it causes them to lose sight of God’s specific will for their children and they push their children into activities and academics where the child may not be gifted. God may have created them for a different work in mind—not as glamorous but more important, like motherhood. I have heard it said that the reason women are mothers is because men couldn’t take the pressure. I fully agree with that statement. When my wife was ill, I found the hardest job in the world is being a 24/7 homemaker and mother. The pressures of my job were nothing compared to hers. However, she has the gift and grace for the job; I don’t. Neither could she do my job. I read of a husband who was feeling guilty because he had not been very considerate of his wife and her many duties. He decided to change his ways and surprise her. On his way home from work, he bought a box of candy and some flowers. He walked up to the door and rang the doorbell. She opened it, and there he stood, candy in one hand, flowers in the other, singing, "Have I told you lately that I love you?" Instantly she began crying, tears just gushing from her eyes. She sobbed, "Oh, everything has gone wrong today! We had a leak in the plumbing. The kids were terrible. The house is a wreck. And now you come home drunk!" A mother often experiences tears. There are times when the sadness is so heavy and there are other times when your joy is so great, you can’t hold back the tears. Sisters, motherhood is not a hobby; it is a calling. It is not something to do if you can squeeze in the time; it is why God gave you time. However, some women do not have the calling, grace, or ability to be a mother. That is not a shame. God has another purpose for them in the Kingdom and they should be respected for faithfully fulfilling their role. In spite of Mrs. Zebedee’s naïve request, she performed her motherly duties well. First, she desired that her sons would be a part of the Kingdom of Heaven. I hope that in the heart of every mother and father here this morning, there is a burden to go before Jesus in prayer for your children—to pray they will be saved from eternal damnation, and that you will have God’s grace to lead them to the Lord, so they can be part of the Kingdom of Heaven. Second, Mrs. Zebedee also desired that her sons would be involved in the work of God’s Kingdom. Parents set the example of how to live and serve the Lord, not preachers. Parents teach their sons and daughters how to love God and one another. Parents should also teach their children how to be involved in the work of the Kingdom in everything they do. We must remember that we are all called to serve the Lord. That service should begin in the home. It should begin with moms and dads praying, and then including the children in those prayers, too. Mrs. Zebedee desired that her children would be actively involved in the work of God’s Kingdom. She set the example by following Jesus. And, as parents today, we need to have the same desire and show our children how to follow Jesus in everything we do and say. Third, she also set the example in having godly expectations for our children. Mrs. Zebedee may have been naïve or over-zealous, but she had godly expectations for her sons. Too often, we have a tendency to settle for mediocrity in our lives and in the Church. Too many Christians have been content to just sit back and let things happen around us instead of getting up and making a positive difference for the Lord. Jesus called us to be doers of the Word, not just hearers only. Mrs. Zebedee was a doer and she expected her sons to be doers of God’s Word. It has been said that when God created mothers, He created someone very much like Himself. For example, (1)They can handle many jobs at once. (2)They have the ability to see all that is going on around them. (3)They can heal nearly everything with nothing but a loving kiss. Certainly a godly mother cares for her children much in the same way as our Lord cares for His children. The godly mother loves her children enough to go into the Valley of the Shadow of Death; a love that sacrifices everything for her young. While some worldly mothers today are killing their children through abortion so they can be free of the duties of motherhood, this true story shows how a godly mother will sacrifice everything for her children, including her life, just like Jesus did for us. I would like to do two things in closing. First, I would like to tell all the mothers, and mothers-to-be in the future, that you are loved and honored by us men, who truly treasure you. And you are also loved and honored by God Almighty. If you have been raised by a godly mother, thank God for that privilege and blessing. Whether she is living or passed on, honor her and God every day by living a godly life. Secondly, if you have been raised without a godly mother’s influence, and you feel that your life has been spent mostly in that Valley of the Shadow of Death, let me encourage you to recognize that God Almighty is reaching out to you. And you have this promise, Isaiah 41:10 fear not, for I am with you; be not dismayed, for I am your God; I will strengthen you, I will help you, I will uphold you with my righteous right hand. Jesus has already gone through that Valley of the Shadow of Death. As a matter of fact, He went through it for you; so you would be able to live forever. And He is extending His hand out to you once again this morning, hoping that you will trust Him enough to take it and let Him lead you through your valley. So, if you have not yet trusted Jesus with your life, won’t you trust Him enough to publicly confess Jesus Christ as your Lord and Savior? Begin repenting of your sin today and die to yourself in baptism. You will be raised to live a new life, born of the Holy Spirit; a life full of love, peace, and joy. Even if you make mistakes along the way, Jesus will never let go of your hand.